Answers to frequently asked questions about The Mopar Parts & Services Connection. What is the Mopar Parts And Services Connection? – The Mopar Parts & Services Connection was built to promote business sites that offer parts or services for Chrysler, Dodge, Plymouth, Jeep Owners and Mopar enthusiasts. The connection provides resources and information about what companies offer for our Chrysler, Dodge, Plymouth, Jeep and Mopar related vehicles. Cruising the connection is a great way to locate Mopar related business sites that have internet sites. How Do I Contact The Mopar Parts And Services Connection? – To contact us concerning a feature, member or if you are having a problem viewing our site, use our feedback form Located Here. How Do I Join The Mopar Parts And Services Connection? – Joining the connection is totally free and is a great way to get more people to visit your Mopar business site. To get your Mopar business listed you will need to submit a membership application. and then add the Mopar Parts And Services Connection Member link to your page/site. How Do I Add The Required Mopar Parts And Services Connection Member Link To My Page/Site? – All members are required to have a reciprocal link back to the Mopar Parts & Services Connection. This can be a standard text or graphic link back to the Mopar Parts & Services Connection. For more information on adding the required link visit the Mopar Parts And Services Connection Member link section. How Do I Update My Member Site/Page Listing? 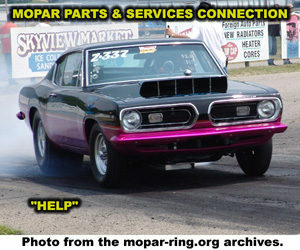 – To update your Mopar Parts & Services Connection Member information you can visit here. Update links are also provided at the bottom of every connection page.